When work is stressful, when kids are soon off from school, when holidays are coming, when monotonous routine must stop, it’s time to look for the best and yet budget-friendly family escape. How about a cruise-like hotel with a modernist oceanfront lodge on the breezy coast of Pattaya? Nothing beats a destination resort that is an attraction in itself, a hotel that epitomizes urbane elegance. The A-One Royal Cruise Hotel Pattaya is the one, it will never make you broke. 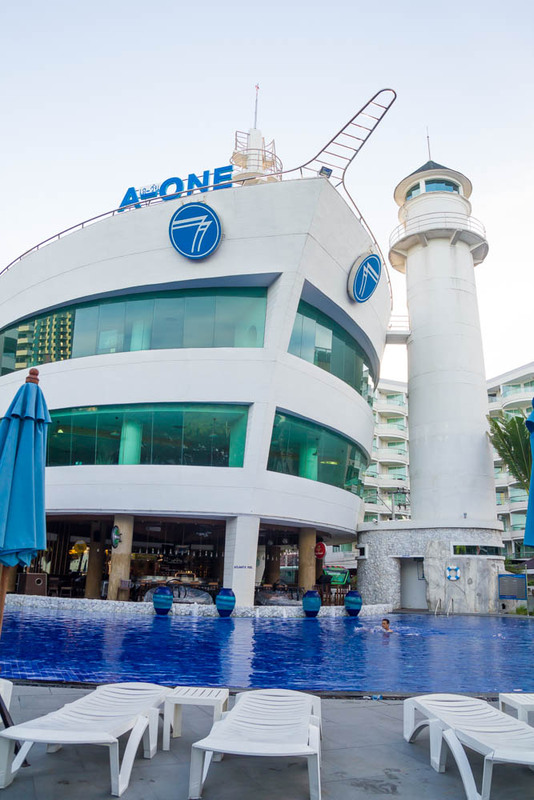 The architecture of A-One hotel is one of the best in the city of Pattaya. Upon entering the vicinity, the feeling of journeying to the islands of the Pacific in a luxurious cruise ship starts. 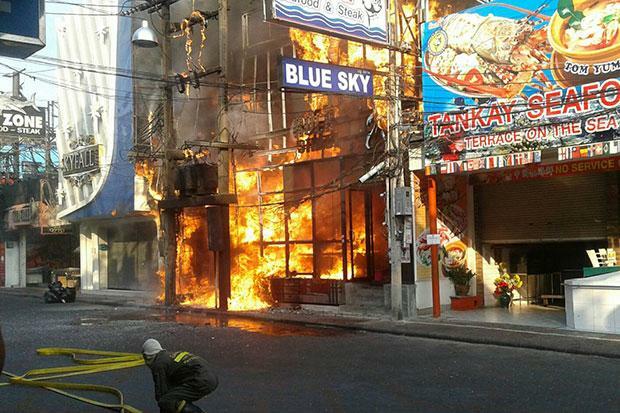 With merely looking at the facade you will soon forget that you are in the bustling streets of Pattaya. The dream of a lavish break from life’s dull routine into the ‘otherworlds’ has just started. But unlike Titanic, this one for sure will never sink! 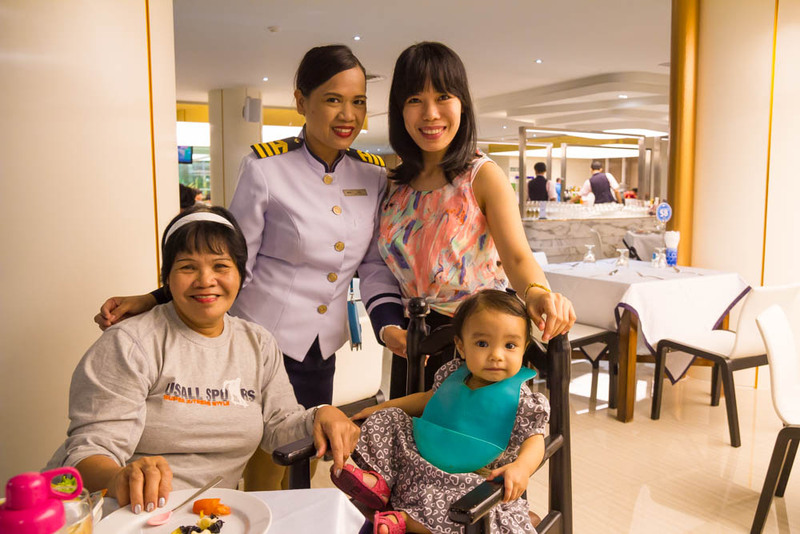 You will be greeted by warm and courteous staff dressed up as vibrant cabin crews and sailors. They are friendly but not intrusive. A complimentary fruity drink and cool towel are provided to freshen you up. Parking and good WiFi connectivity are all free all throughout your stay. And on a personal note which is important to me, they speak my language: English and Filipino as I wish. 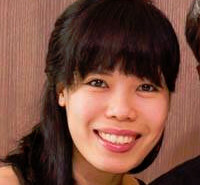 A very friendly Filipino staff, Lea, is always ready to assist and answer queries. A nicotine-free aroma in addition to some tropical fruits is a welcoming tease upon entering your room. There is a tea/coffee making facility and a writing table to kick off your purpose whether for business or pleasure. A flat-screen TV with a variety of international cable channels is waiting for you in case you do not want to miss an important drama episode at home. Bathrobes, basic toiletries, clean towels and slippers are provided. The use of the Safety Box in the room is also free of charge. Rooms are sleek, modern, and done in ocean marine hues and subtle cruise theme. If you prefer fresh air and natural sunlight, each room has a wide balcony of a glass door where you can enjoy the seaview and the cityscape in one. We really like the ‘secret door’ that connects two rooms. This is perfect for a family or group where one can quickly go to the other room but still with that privacy needed. 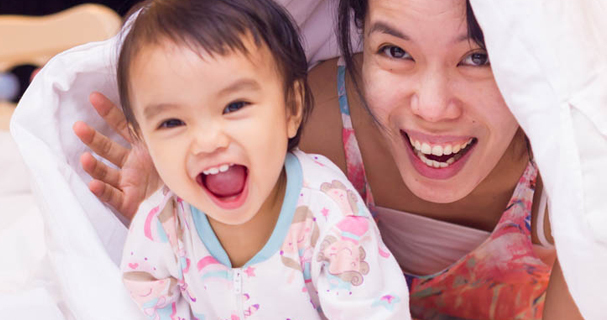 Also If staying with an infant or toddler, A-One happily provides a safe cot. The hotel offers different types of rooms that suit your bliss. Be sure to check their photo gallery here. This four-star hotel offers a wide range of restaurants that will surely make your tummy happy. Are you dying to eat cuisines such as Middle Eastern, Japanese and Thai? The Boat Restaurant offers it all and pretty much international. Enjoy its current promotion of Asian Buffet Lunch from 11am to 2pm for an affordable price of 449 baht each person, and its Seafood and International Buffet by nightfall at 5 pm-10 pm for only 799 baht per person. There are variety of dishes inside. Vegans and those who like halal food will never be disappointed. Be ready as locals and tourists alike flock to these sumptuous buffets. Come early! The Harbour Restaurant which offers halal-certified dishes for many years will definitely satisfy your taste buds. 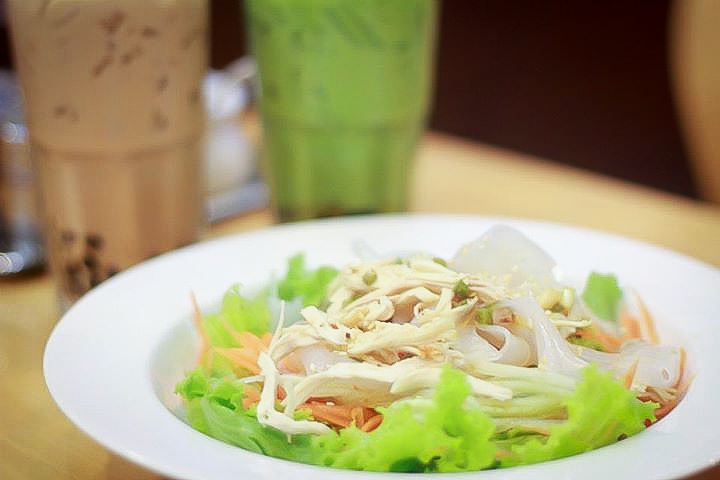 With a la carte food rates ranging from 120-350 baht, every bite is all worth the penny. You must not miss the Indonesian Beef Rendang! Still makes me drool every time I remember it. The American Breakfast Buffet lineup at the Maritime Restaurant is outstanding. I hope it will soon be an “all-day” offer. 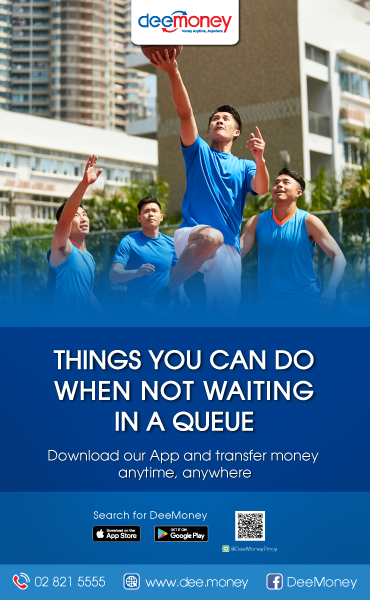 There are fruit juices, hot drinks, cereals, sausages, hams, cheeses, salads, soups, vegetable dishes, fresh home-made bread, and omelette/egg station. And perhaps an added treat is the sushi bar! Who cares if sushis are jumbled to your “American” meal? Treats are just lovely to start your day. 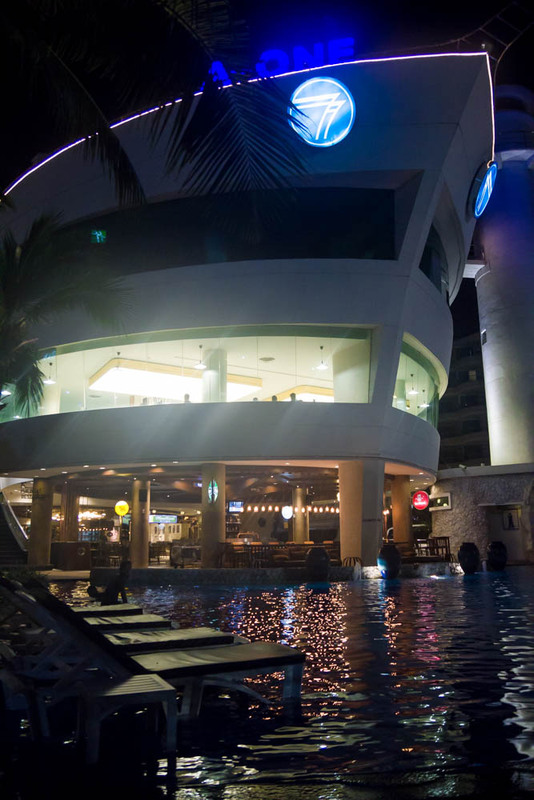 At A-One, there is indeed plenty of dining options, both upscale as well as casual. 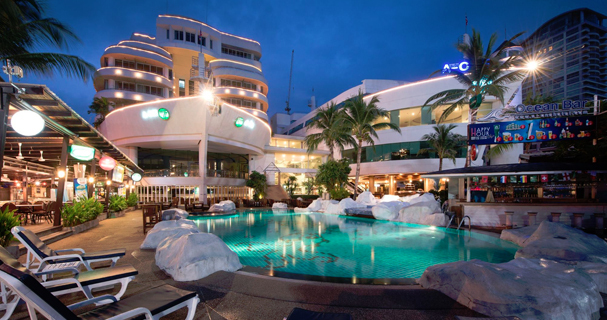 The A-One Royal Cruise Hotel has a fitness centre, beauty parlor, cream cafe, sauna and spa bath facilities. Guests who love to unwind through singing can have unforgettable sessions in the hotel’s Compass Karaoke Lounge, or you even enjoy dancing with the live entertainment at Boat Music Place. 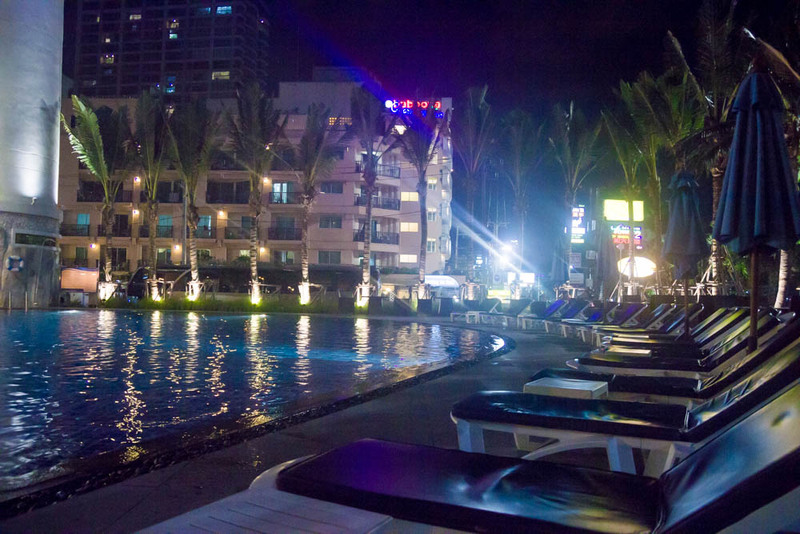 The swimming pool at night is graced with melodious songs from the bar. It is not loud. You can sweetly relax facing the Titanic-like facade as you lie down on one of the pool lounges. Bicycle rentals and sightseeing arrangements can be made at the tour desk. The hotel is literally 3-minute walk to the beach. It is also 350 meters away to the famous Tiffany Show Theatre, while Hard Rock Café is 700 meters away. There is a night bazaar nearby for those who are into souvenirs and bargaining. 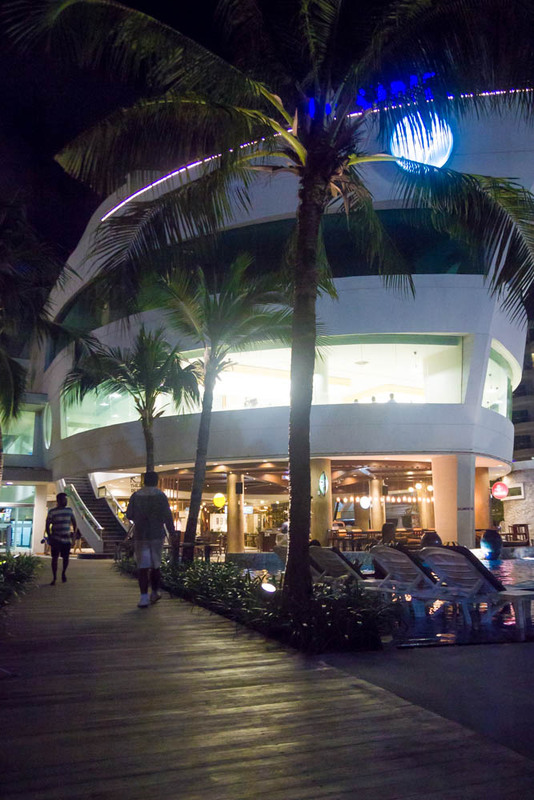 A 24-hr convenient store and a mall are just a walk away. Adventures, shopping malls, restaurants, attractions, diving, parasailing, island visits and nightlife are all within your reach. Head over to Eastern Bus Terminal near Ekamai BTS station if you are from Bangkok. 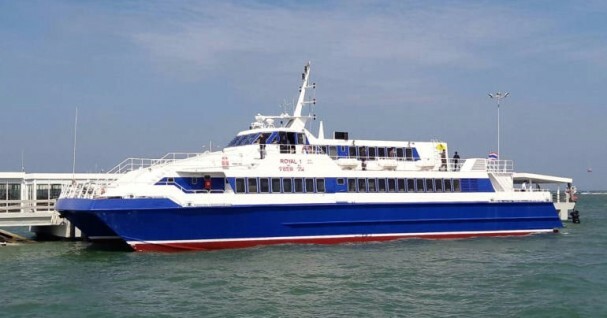 Air-conditioned buses leave to Pattaya in approximately every thirty minutes between 5:20 am and 11:20 pm each day and cost about 117 baht. From Pattaya Bus Terminal to the hotel is only a 3-kilometer ride. You may opt to ride a songthaew or a motorbike which will cost you from 10-30 baht. For private car owners, this GPS coordinates (12.945573, 100.885420) is a big help. A beach vacation isn’t rocket science. The key ingredients are simple: sun, sand, and sumptuous food. 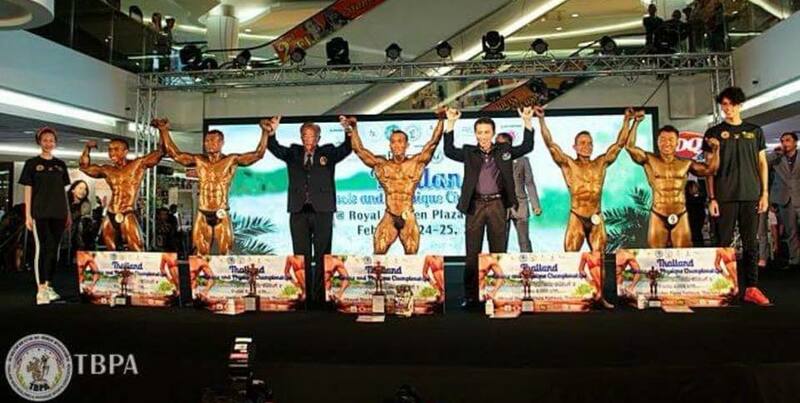 For just 2,974.00 baht, this relaxing and fulfilling bliss is yours! 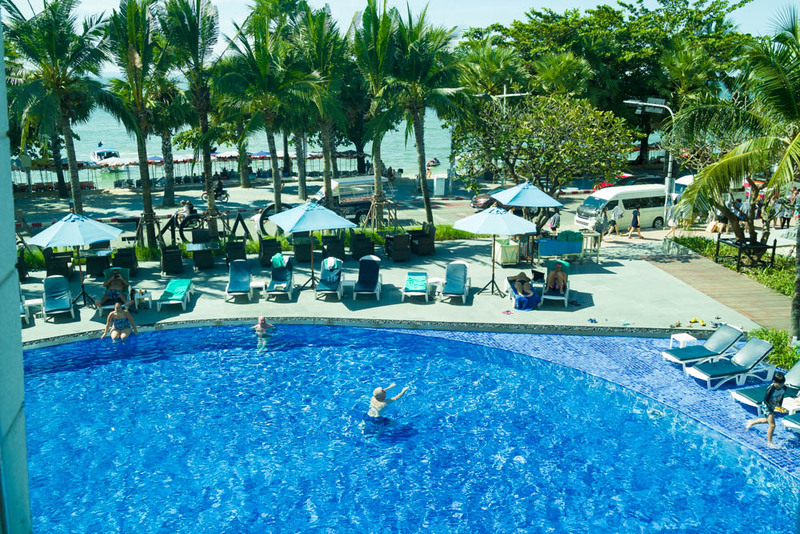 You and your family can enjoy Pattaya to the fullest with A-One’s late check-out till 2:00 pm. What we liked most is the overall experience– a lavish but not so pricey cruise-like getaway to the ‘otherworlds’! You will not experience this in other hotels nearby. It’s an added blessing to have a ‘pinay’ crew who understands and is ever ready to attend to your needs. 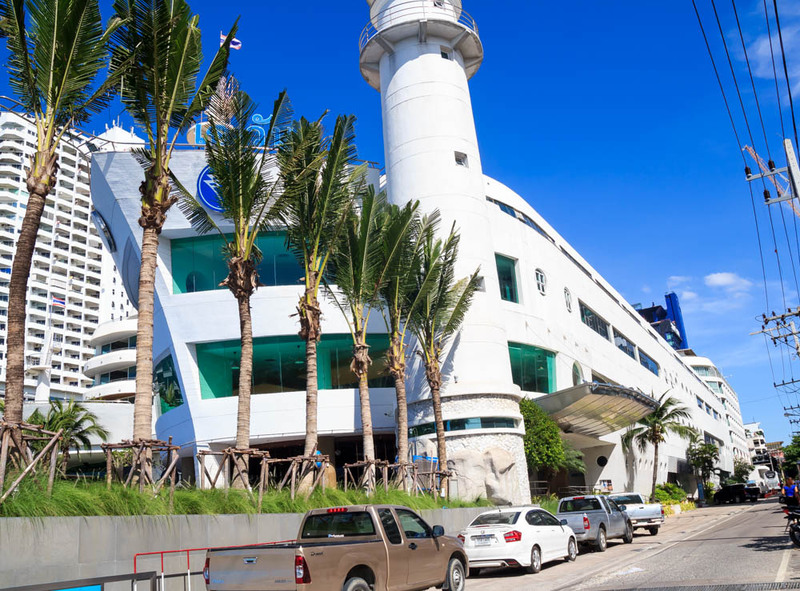 All Aboard to A-One Royal Cruise Hotel in Pattaya! Enjoy the wonders of nature in Pattaya where the seashore is just a walk away from A-One hotel. Private fun continues through this door connecting two rooms which is fit for family or group. 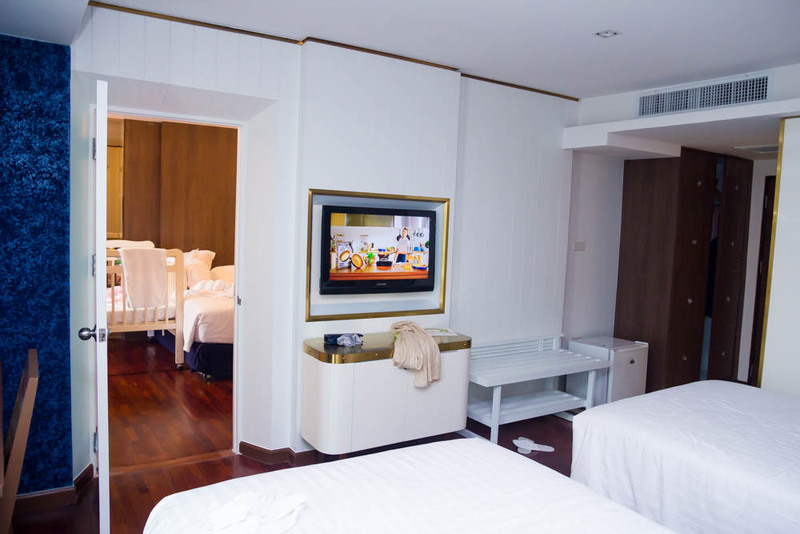 A-One offers variety of room types that suit your bliss. Hotel entrance from the Beach Road. Festive and yet subtle melodies from the Blue Wave Poolside Bar add to the relaxing experience as you wade through the pool or simply enjoy the stars at night. 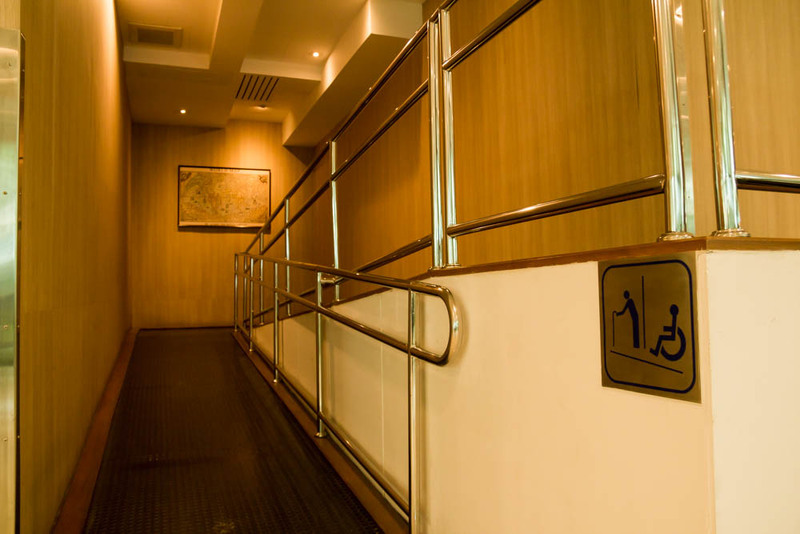 A-One hotel makes it a point that guests with disability are special. Ramps and PWD lanes connect various places in the hotel. 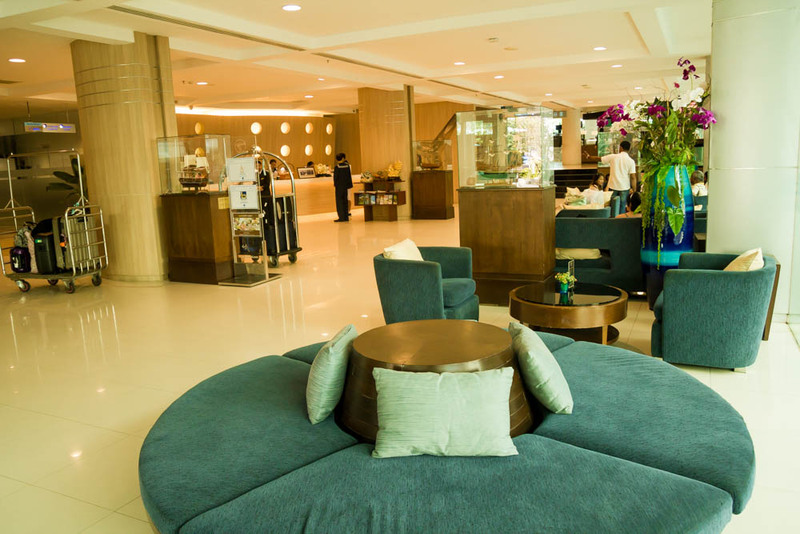 A spacious and welcoming lobby awaits guests. Various replica of historical sailing ships are on display to inspire you as you embark on your cruise-like adventure.